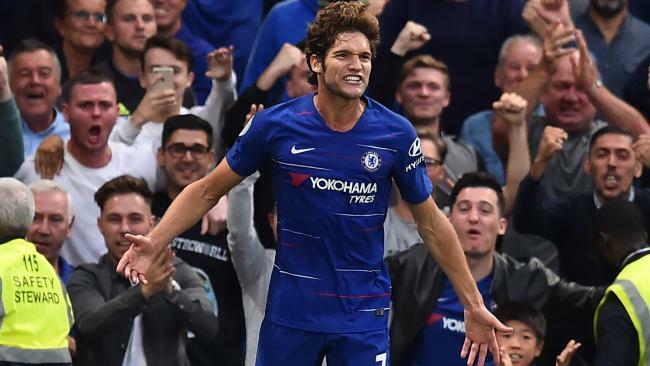 MARCOS Alonso grabbed an 81st-minute winner as Chelsea beat London rivals Arsenal 3-2 in a frenetic English Premier League derby. Chelsea went ahead in the ninth minute of a frantic first half when Pedro buried a cross by Alonso. And it was soon 2-0 when Alvaro Morata scored only his second league goal of 2018, fed by a through ball from Cesar Azpilicueta 11 minutes later. Arsenal clawed their way back into the game in the 37th minute when Henrikh Mkhitaryan drilled in a low shot that Kepa Arrizabalaga - the world's most expensive goalkeeper making his home debut - could not keep out. And Alex Iwobi made it 2-2 four minutes later as Arsenal exploited Chelsea's vulnerability on the flanks. 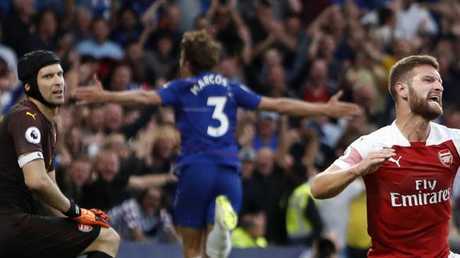 In a tighter second half, neither side could carve out as many chances before Alonso settled the game when substitute Eden Hazard carved open the Arsenal defence for the Spanish defender to finish in Chelsea manager Maurizio Sarri's first home game in charge. Substitute Aaron Ramsey almost equalised in the last minute but his strike landed on the roof of the net meaning new Arsenal boss Unai Emery has suffered defeat in his first two games since taking over from Arsene Wenger. "I think in the first half it was half and half, we started dominating and then lost a bit of space," defender Alonso told BT Sport. "They played better at the end but in the second half we were the better team. It is three deserved points." 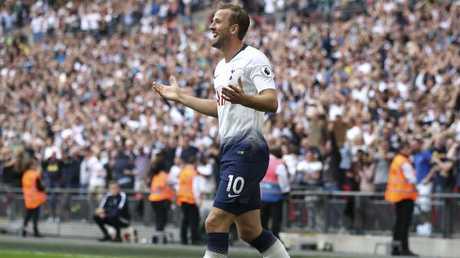 Meanwhile, Harry Kane scored his first Premier League goal in August as Tottenham beat Fulham 3-1 at Wembley to maintain their 100 per cent start to the new season. Kane had seen an early effort ruled out before Spurs did take the lead two minutes before half-time through a curling effort from Brazil forward Lucas Moura. Fulham equalised in the 52nd minute with a header from Aleksandar Mitrovic. Kane saw his shot come back off the crossbar before England team-mate Kieran Trippier curled in a brilliant 25-yard free-kick after 74 minutes. The 14-game August hoodoo was finally broken three minutes later when Kane slotted in after being set up following a breakaway by substitute Erik Lamela. 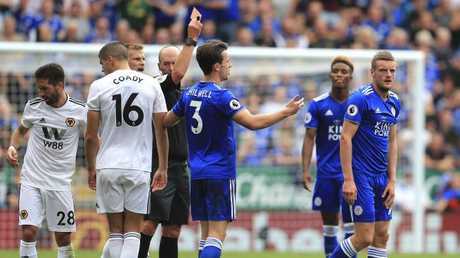 Another England forward, Jamie Vardy, was shown a straight red card as 10-man Leicester held out to beat Wolves 2-0. The Foxes broke the deadlock after 29 minutes through an own goal from Wolves defender Matt Doherty. Just before half-time, midfielder James Maddison drilled home to double Leicester's advantage but Vardy saw red in the 66th minute after launching himself into a late challenge on Doherty. Bournemouth also have maximum points after coming from behind to win 2-1 at West Ham. The Irons, thrashed 4-0 at Liverpool in their opening match, went ahead after 33 minutes through a Marko Arnautovic penalty. Bournemouth were level on the hour through a fine individual effort from forward Callum Wilson. And the visitors completed the turnaround six minutes later when Steve Cook headed in at the back post following a free-kick. Kenedy had a penalty saved with almost the final kick of the match as 10-man Newcastle missed a golden chance to steal three points at Cardiff. Everton got their first win under new boss Marco Silva after beating Southampton 2-1 at Goodison Park. Theo Walcott opened the scoring against his boyhood club after 15 minutes following a well-worked free-kick. The Toffees doubled their lead after 32 minutes when Richarlison headed home, but Southampton reduced the deficit Danny Ings turned the ball in following a corner but Everton held on.